The District of Colombia is notorious for bad traffic. Don't let that beltway behavior creep into your experience at the Washington D.C. Department of Motor Vehicles (DC DMV). Scheduling an appointment for your DMV trip could be an easy way to save yourself time, and keep the slow-moving messes to the highway—or Capitol Hill. Types of DMV Appointments in D.C.
All other transactions are on a first-come, first-serve basis. But if the list seems a bit sparse, don't fret: there's a great chance you could accomplish what you need without leaving home at all, thanks to the number of online services offered in the District. 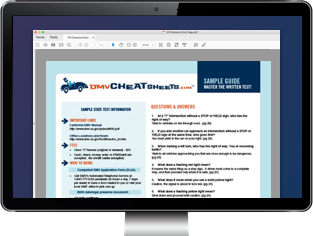 To pencil yourself in for a testing visit, you can visit the D.C. DMV's behind-the-wheel test page to make an appointment. You can also make an appointment online for vehicle-related inspections. Calling the D.C. DMV Customer Service Center at 311 or (202) 737-4404 is another great option to schedule your trip. If you fail the road skills test, you cannot re-test until 72 hours after your first attempt. Make sure you only have to schedule the appointment once by taking a practice test beforehand. If you won't be able to make it to your appointment, you can cancel your road skills test by calling the D.C. DMV Call Center. Be careful to make your call timely, though. If you fail to cancel your test within 48 hours, you will be charged a $30 cancellation fee. All the time an appointment will save you will go to waste if you need to revisit the D.C. DMV due to improper paperwork—so make sure you have everything you need on the first go-around. Putting a checklist together is a great way to ensure you won't forget anything. Applying for a learner's permit or license (teens). Applying for a license (adults).